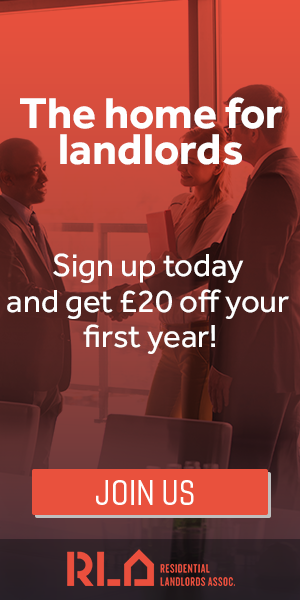 With an estimated 267,000 private rented homes in London needing a property licence, many landlords find themselves struggling to understand the rules and yet fearful of getting things wrong. Did you know there are now over thirty-five property licensing schemes operating in London? In some areas, you only need a licence for larger Houses in Multiple Occupation (HMOs) whilst in other areas licensing has been extended to all house and flat shares occupied by 3 or more people. Some councils have extended licensing to all private rented homes occupied by a single family. No wonder people get confused. Failing to have the correct licence for your property can lead to criminal prosecution and a hefty fine, a civil penalty of up to £30,000, an order to repay up to 12 months rent and the inability to evict your tenants using a Section 21 Notice of Seeking Possession. It can all seem a bit daunting. Fortunately, help is at hand. We have developed a unique, hassle-free service to help you obtain the correct licence for your property. We are experts when it comes to property licensing and our service is available throughout the London area. We start by discussing the basics to assess what type of licence you need. Once you have confirmed a booking, we send you a property licensing information pack that helps to explain the process and answer your questions. We ask you for certain information required to complete the application and then arrange a convenient date to visit your property and carry out an inspection. The inspection is carried out by an Independent Environmental Health Officer and we will highlight any compliance issues for you to consider. We provide simple, impartial and expert advice to help you understand and comply with the law. If you do not have a measured floorplan (essential to accompany most applications), we can prepare one for you for an extra fee. If your property is an HMO, we will provide a fire safety procedure notice for you to display in the property at no extra cost. We then prepare the licence application together with the notifications forms that must be sent to all interested parties. Once the application is ready, we let you know the council’s licence application fee and highlight any discounts available. The application can then be submitted. Our service doesn’t stop there. You can contact us for licensing advice by email or telephone throughout the application process. In due course, the council will send you a draft licence and give you at least 14 days to comment on the terms and conditions before the licence is approved. If you have any concerns about the draft licence, we can prepare a written representation for you as part of our fixed price service. Our service does not include the provision of gas, electrical or any other safety certificates. However, we will advise you what documents are needed and may be able to help arrange this. Please ask for details. Regardless of whether you decide to use our service, we urge you to comply with licensing requirements at the earliest opportunity. You can pay a small price for getting your property licensed or risk high reputational and financial penalties if you fail to act. Providing a responsive, high quality customer focused service is important to us. We like to be the best at what we do. In 2016, we were awarded Best Service Provider in the Private Rented Sector by the UK Landlord Accreditation Partnership. In 2017, we were finalists for the FSB London Property Business of the Year Award. You can read reviews about our service on Trust Pilot. Note: due to exceptional demand, we have placed a temporary halt on processing new licence applications as of 22 January 2019. We are keeping this matter under regular review and hope to reopen our licence application handling service soon. Apologies for any inconvenience caused. In the meantime, you can find other companies offering a licence application handling service in our Landlord Suppliers Directory here.